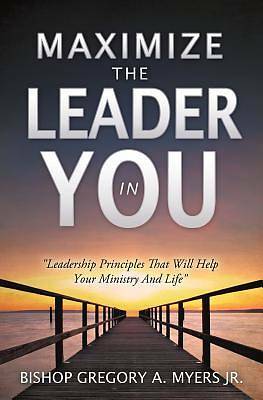 Maximize the Leader in Your "Leadership Principles That Will Help Your Ministry and Life" Bishop Greg has found that there is a definite need for trained leaders in Ministry if they are to be able to effectively bring up other leaders to pass the baton to in years to come. Our society needs to have strong, dependent men and women raised up as leaders to lead the Church not only today but in future years to come should our Lord tarry. It is to this end that this book is being published. Bio: Bishop Gregory Myers is Senior Pastor of New Life Worship Center, Chambersburg, Pennsylvania along with his wife Krystle who is a true woman of God who takes pride in caring for her husband and their ministry. Bishop Greg has concentrated his studies in the areas of leadership and as a leader he holds degrees in Theology, Church Administration, Church Leadership and also a Master Degree in Christian Leadership. New Life Worship Center is a thriving multi-cultural church that is growing under his dynamic leadership.